The distinguishing feature of charity is that, unlike other acts of giving, it expects no return for the gift from the person(s) to whom it was given. Charity is for the other; it entails permanently dispossessing oneself of something in order to benefit the other(s). In some traditions, charity is understood to be a moral obligation, a duty of the individual to help others who are in need of help. Because others can be more efficiently helped if the resources needed are pooled and centrally distributed, charitable organisations are a common feature of most societies in which people live in groups large enough for the people in them not to know each other personally. In some societies, certain needs are managed through state-controlled taxation — a proportion of one’s wealth is taken by government, pooled with others, and then spent on providing for those in society unable to provide for themselves (the sick, disabled, unemployed, widows, orphans, elderly, etc.). Expenditures from this kind of highly centralised and organised ‘public welfare’ programme are legally restricted to the society in which the tax has been collected. Plainly, this way of managing needs is very different from charity — tax-payers are ‘giving’ to the system in the expectation of ‘getting back’ from the system at some future date. Also, because state expenditures are wholly impersonal, people receiving ‘public welfare’ rarely feel that they have been in receipt of some human kindness; on the contrary, such payments are presented and perceived as ‘legal rights, statutory obligations’. Generally speaking, however, if such a system is run fairly, it appears to be efficient at meeting people’s needs. So, if people’s needs can be efficiently met without charity, what is the point of charity? One answer is that all needs can never be met; there remain needy people, within the society, and outside it, whom the state system cannot identify as legally qualified for its help — because they are foreigners or because they do not have a fixed address, or some other bureaucratic reason. So charity is still needed to make up for the failures or limitations of ‘public welfare’. But what if the failures or limitations could be greatly reduced or even eliminated? What then? A much better answer to the question “What is the point of charity?”, I believe, can be found by reflecting on the meaning and intent of two terms in the Islamic tradition, either of which can be correctly translated as charity. This is what I propose to do in this brief talk today. The two terms are sadaqah and zakah. Root meaning of sadaqah (to prove oneself, true, credible) is to behave as a believer is supposed to behave – someone who is kind and generous and can be trusted not to hurt others by act or speech, because he truly does (as he claims) fear God. Thus, sadaqah is the more general term: it is not only about giving from one’s wealth. It is the disposition and act of kindness arising from fear of God and expecting reward from only God. (Examples; hadiths: to greet a neighbour cheerfully is sadaqah; to clear a public footpath of hindrances is sadaqah; for one unable to be positively kind, not harming one’s neighbour is accepted as sadaqah – provided this not-harming is done from fear of God. Whereas sadaqah is not necessarily related to one’s wealth, zakah is. As implemented by the Prophet, zakah is calculated amount of one’s wealth which it is a duty (religious and legal) to pay. The root meanings of zakah connect it to the idea of (1) purifying, cleansing oneself of the taints of avarice, thus freeing oneself from being trapped (or owned) by the things one owns. And (2) growing, prospering: zakah lifts a burden from the soul, so that it can grow in goodness. In the same way as a stone can obstruct a plant’s growth, and removing it allows the plant to benefit from light; so also not recognising the duty of zakah can obstruct one’s wealth from bringing good to oneself and one’s community. zakah is designed and intended primarily to relieve owners of wealth from the burdens and potential ills of wealth – therefore, it is not dependent on the existence of need in a society or locality. Rather, it is dependent on the existence of a certain level of wealth called the nisab. Therefore, it must be collected and paid, regardless of need. 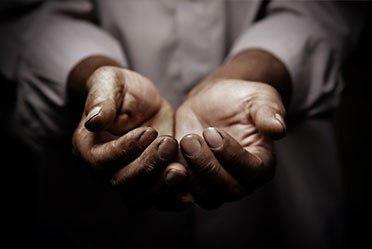 Ultimately, sadaqah and zakah are both expressions of faith, both acts of worship. Together, their function in society is to keep the levels of kindness and benevolence in a society relatively high, and to maintain kindness and benevolence as the defining norm of relationship between human beings. In practice this means that people working for a living, consider doing that to be both a means of livelihood and a means of pleasing God. It means that the moral constraints that govern human exchange and relationship also govern economic transactions and relationship. The norm in functioning Islamic communities is to think it good not to be poor, because it is better to be a zakah-payer than a receiver. But even the poorest can do sadaqah in the form of acts of kindness, such as being cheerful with others. The most conspicuous evidence of the outcome of charity in Islamic societies is the institution of the waqf. This institution funded schools, hospitals, etc. But the outcome of charity as a norm is also seen in the fact that, because people are aware of each other’s needs and help each other, even in the poorest Muslim communities in the world, Bangladesh for example, one does not find poor families regularly resorting to prostituting their children, as happens in some poor non-Muslim communities (Thailand for example). The benefits of solidarity can also be seen in the way Palestinians help each other, morally and physically, to survive a long military occupation that is expressly intended to strangle their economy and their capacity to connect with each other as families and a society. Even where people are relatively comfortable, the norm of doing charity remains visible and beneficial – even in Muslim communities in the UK, you will see children running around with plates of food for the neighbours, if something nice has been cooked, because of the desire and habit of sharing. And if you go to any mosque at the time of the sunset prayer during Ramadan, you will find that the local families and restaurants have sent food so that travellers and others passing through can break their fast. This pleases God. This is charity.